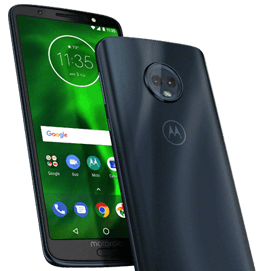 Choose from our best Moto mobile phone deals and cheap pay monthly offers today and get your new phone delivered tomorrow. Formerly owned by Motorola, the now Lenovo-operated brand prides itself on offering an almost untouched version of Android, with very little manufacturer software added to the experience. Aside from what makes Moto mobiles tick, they also enjoy some impressive features like Quad HD displays and powerful cameras over 20MP. They’re great value, too. See our Moto Deals below.